Free Delivery! Cheapest price around. Well.. it is cheapest price. I did check your profile though to see if you was laughing because you might have posted a cheaper deal but, seems you haven't posted 1 single deal or anything since joining mid 2016. Great technology but I returned mine. To much motion sickness for me sadly. Took my breath away at times though. Heat. Great technology but I returned mine. To much motion sickness for me …Great technology but I returned mine. To much motion sickness for me sadly. Took my breath away at times though. Heat. The only time I get sick is if I've had a sharp jolt back to reality. That really takes its toll for an hour or so. e.g. delivery at the door, quickly take off headsets and attempt to walk to door, sign whilst standing still and not looking drunk with bed head to boot and then the walk back. I literally have to close my eyes for ten minutes. If I come out slowly, e.g finish the game save, close, headset off and sit down to some TV for a few minutes no problem. still seems far too expensive compared to a right at £400, its 50% more. And very little difference from what I have read and tried. 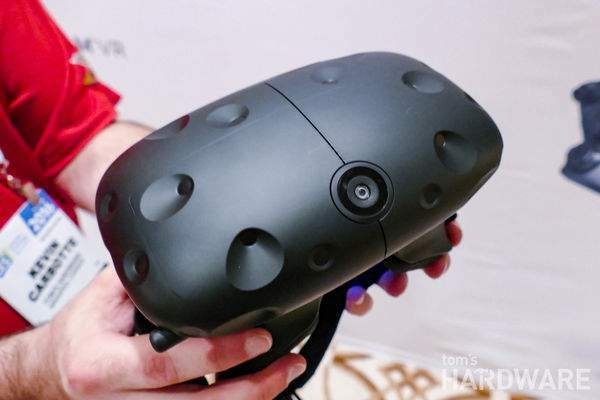 This is the Vive's new permanent price. Personally, I'll wait until the bundle includes their new "Knuckle" controllers. trying to hold out for sub £500..........Though its gonna be tough! I'm sure it's better than the Rift, but it's not £200 better. Forgive me if I am wrong here. But the Rift does not support steam games? Again am new to the VR scene am just going off stuff I have read over the past year. Plus as I understand (probably also wrong) but the likes of Skyrim VR , Doom VFR and Fallout 4 VR won't be coming to the VIVE due to a lawsuit between Rift and Zenimax? Anyhow, Am buying a PSVR first at the end of the year and come summer 2018 is when I jump into PC VR. Hopefully these sets will be even cheaper. Forgive me if I am wrong here. But the Rift does not support steam games? …Forgive me if I am wrong here. But the Rift does not support steam games? Again am new to the VR scene am just going off stuff I have read over the past year. Plus as I understand (probably also wrong) but the likes of Skyrim VR , Doom VFR and Fallout 4 VR won't be coming to the VIVE due to a lawsuit between Rift and Zenimax?Anyhow, Am buying a PSVR first at the end of the year and come summer 2018 is when I jump into PC VR. Hopefully these sets will be even cheaper. Haha! 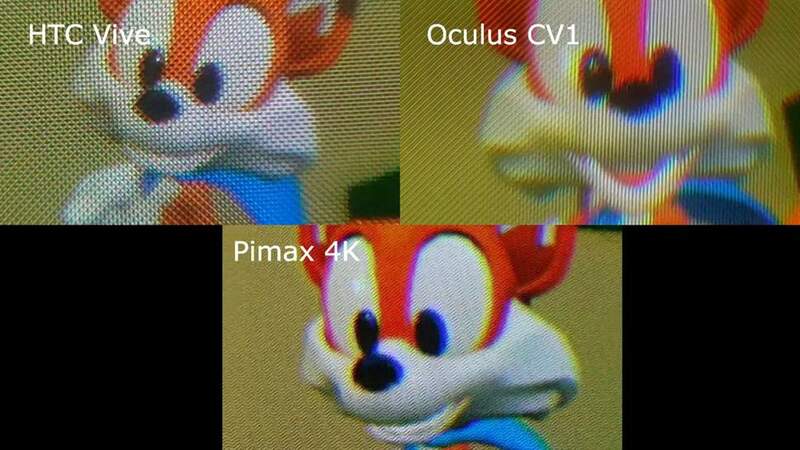 You’re kidding yourself if you think this isn’t better than a rift. It’s vastly superior if you have the room to walk around in, which is what the vive is all about. If you’re just sat on a chair, then yes, save your money and get a rift, but if you want to see the best VR can do right now, then get a vive. That said, I won’t buy at the price, as I still find the screen door effect FAR to distracting. Ultimately though, this is about a deal for this product and this is a good deal, though you’ll find most places have gone to £599 now so not vastly different than elsewhere, but certainly much better than yesterday. Haha! You’re kidding yourself if you think this isn’t better than a rift. I …Haha! You’re kidding yourself if you think this isn’t better than a rift. It’s vastly superior if you have the room to walk around in, which is what the vive is all about. If you’re just sat on a chair, then yes, save your money and get a rift, but if you want to see the best VR can do right now, then get a vive. That said, I won’t buy at the price, as I still find the screen door effect FAR to distracting.Ultimately though, this is about a deal for this product and this is a good deal, though you’ll find most places have gone to £599 now so not vastly different than elsewhere, but certainly much better than yesterday. I've heard it is better once you get past 3m by 3m, but under that it's fairly much the same, especially if you get the third rift sensor. Let's be honest here, how many people have more than 3m by 3m of space to play around with though? The Vive is far superior for room scale VR IMHO. Even for smaller space room scale, I'd say the Vive is a lot better - it was designed for room scale whereas the Rift clearly wasn't and their solution to add room scale is clumsy. The Vive uses the Lighthouse tracking system which uses two 'lighthouses', small cubes which only need power with no connection to the PC. The Lighthouse tracking system is also designed to work with more than just the controllers/headset to give the system extra capability, Valve have been encouraging other companies to develop their own Lighthouse peripherals. The Rift tracking system uses additional cameras which have to be connected back to the host over USB, it's not great having to lay cables round the room for it and USB can be finicky especially with longer cables. 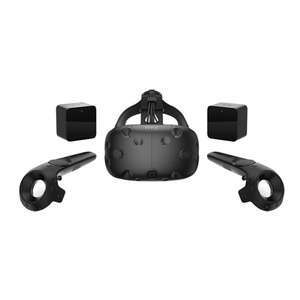 I started off with a Rift and thought I was fine with seated VR but the Vive's roomscale is really impressive and HTC/Valve seem to be putting a lot more effort into the longterm improvement on the system. Strange, my rift works perfectly for large room scale. The Vive is not a £200 better system, and it's definitely not a £300 better system (after buying the deluxe headstrap for £100, which brings it up to comfort and convenience levels similar to the Rift, such as the integrated headphones). I've heard it is better once you get past 3m by 3m, but under that it's …I've heard it is better once you get past 3m by 3m, but under that it's fairly much the same, especially if you get the third rift sensor. Let's be honest here, how many people have more than 3m by 3m of space to play around with though? Not many in U.K. shoebox sized houses is my guess. What is the screen door effect you speak of? Gaps between the pixels. A natural consequence of putting a screen close to your eye & magnifying it. still seems far too expensive compared to a right at £400, its 50% more. …still seems far too expensive compared to a right at £400, its 50% more. And very little difference from what I have read and tried. Why is this in the Mobiles section? I have 8 feet by 8 feet which is classed a moderate room scale, and i run two rift sensors in 360 tracking with no issues, all it cost me was one £6 nine feet 3.0 USB cable and one £5 rear bracket 3.0 USB port......but even if you required a third sensor, a 3.0 USB cable and extra USB ports expansion on your PC, it will still work out cheaper for full room scale on the rift than that extra £200 for the Vive. I have 8 feet by 8 feet which is classed a moderate room scale, and i run …I have 8 feet by 8 feet which is classed a moderate room scale, and i run two rift sensors in 360 tracking with no issues, all it cost me was one £6 nine feet 3.0 USB cable and one £5 rear bracket 3.0 USB port......but even if you required a third sensor, a 3.0 USB cable and extra USB ports expansion on your PC, it will still work out cheaper for full room scale on the rift than that extra £200 for the Vive. In my case, my sensors couldn't detect touch when crouching or prone facing away from them, which was really annoying in Pavlov! But as i said, even if you buy the rift and a third sensor, you are still going to be about £130 in pocket over buying the Vive,and i think Vive missed the boat, i think Rift may have caught the VR hold outs with the summer sale and now that lower price point, and i think Vive might just be regretting that move because Steam will be able to show them just how many more new rift owners are buying VR games on the steam platform, and i bet they are kicking themselves. ^^As for the front facing camera, good idea for altered reality, i remember the 3DS and those cards that made use of the camera, i would like to see my room actually be in a vr game, i think that would be quite interesting. Been a Rift user since launch, never had tracking problems...you'd be mad to go for a Vive even with the price cut. Well.. it is cheapest price. I did check your profile though to see if you …Well.. it is cheapest price. I did check your profile though to see if you was laughing because you might have posted a cheaper deal but, seems you haven't posted 1 single deal or anything since joining mid 2016. Buddy, I've used this site it's got me many a great deal. 64gb EE for £16 plus some other household items. I've yet to find a deal worthy of posting myself, so I use this as a consumer and not a sharer. When I find something worth it I'll post it. And until then I won't post just anything for some heat .